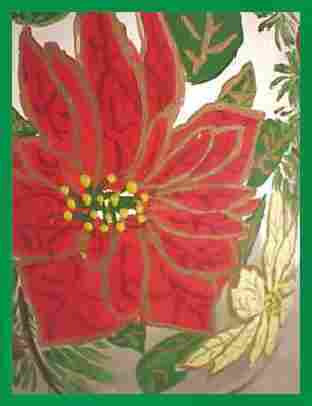 Poinsettia Christmas cookie jars hand painted in festive colors of red, gold, and green. Great for cookie and treat storage during the holidays. 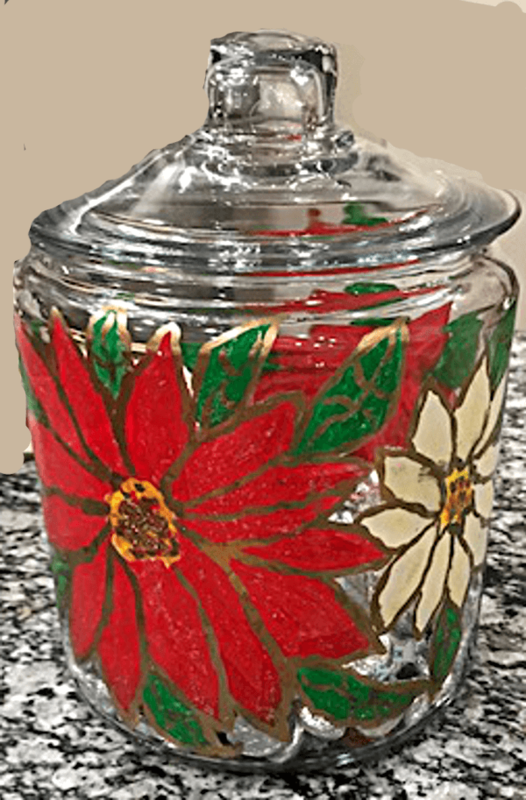 These glass canisters can be hand painted in any deisgn and they look great on your kitchen counter (glass kitchen canisters) or on your Christmas table. Bake your favorite Christmas cookies, Christmas candy and give as a wonderful Christmas gift. One of the most favorite things to do at Christmas time is to bake Christmas goodies, but you have to have a place to put them. 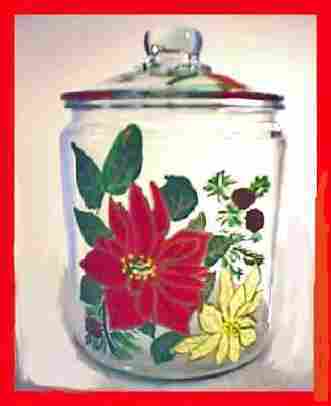 We offer several different sizes in glass cookie jars from the small to the very large. This particular jar is 8 ' x 4'.